Last week we were inundated with incorrect entries so I just wanted to draw your attention to this post. 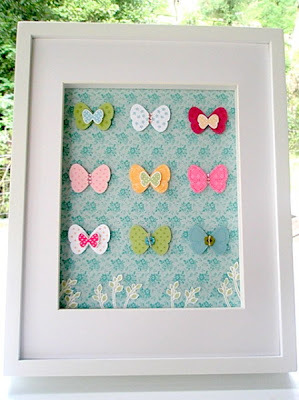 Quite simply, we prefer to spend our time checking out your beautiful creations, not correcting - or worse, deleting! - incorrect links. So, enough wagging of the finger, and on with the fun! It must be time for a sketch challenge! 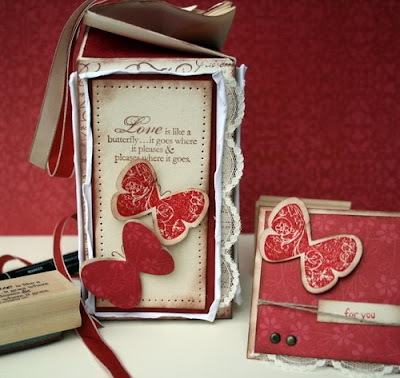 Have fun, as always we can't wait to see what you come up with... remember, we're a pretty flexible bunch here at Just Add Ink - make whatever you like - scrapbook pages, a card, a 3D item - the sky is the limit. Please use the keyword JAI6 when uploading to public galleries. Mr. Linky will close Wednesday 3rd March at midnight EST. Be here on Thursday 4th March to see our Top Picks. 21. Tami Black 22. Alexis E.
Another week of incredible submissions. Congratulations and a big thank you to each and every one of you that played this week at Just Add Ink - you never cease to amaze us! CONGRATULATIONS to everyone that participated this week at Just Add Ink! You're all fabulous! See you tomorrow for the Just Add Ink #6 reveal... a sketch challenge! Your creation is linked to a tonne of challenges - we ask for Just Add Ink submissions to be for no more than 3 challenges (ours included), and all must be different themes (e.g. one colour, one sketch, etc). It was accidentally linked twice. Wha... where?? Is the post the first thing we see? Or an advert block? We know how blogs work, if it's the latter it will be deleted. It was not linked correctly - your link must be a DIRECT link to your submission, not to your main blog page. Have a look at our tutorial on Using Mr Linky. It did not meet the challenge requirements. It was linked to a project that was posted before the challenge was posted (we specifically ask for challenge projects to be new). It did not contain a reference to Just Add Ink and/or a link back to the challenge (c'mon, that one's common courtesy!). It was inappropriate or contained inappropriate images. If a post before yours has been deleted, your post will have moved up the list. If your post has been deleted and you think none of the above reasons apply, please email us at just-add-ink@hotmail.com so we can figure it out. 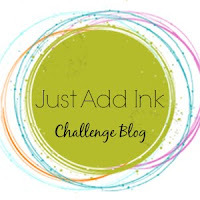 Please click on each entrants name in the Just Add Ink Challenge 5 post to visit their site and leave some comment love! Still want to enter? 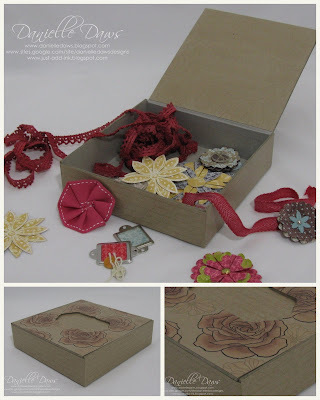 Visit the Just Add Ink Challenge 5 post to link up your entry, or you can email it through to us at just-add-ink@hotmail.com. 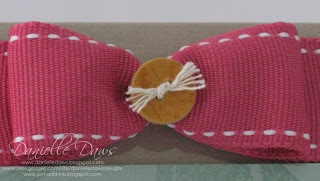 For our Just Add Dimension challenge, Sarah made a gorgeous headband using Stampin' Up! 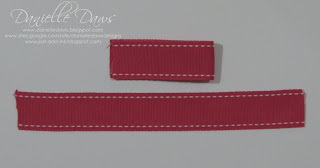 ribbon and embellishments. 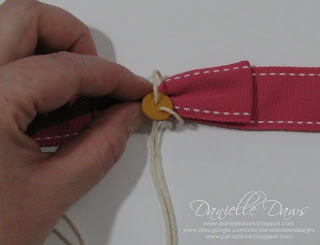 And now she's made a brilliant video tutorial to show you all how to make one of your own! We have it here, but if you'd like to leave Sarah a comment about her project, please go to Sarah's site HERE. 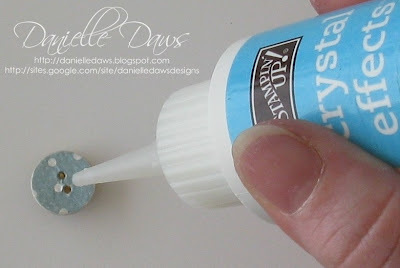 This is a step by step photo tutorial of how to make a DSP Button. This is not an original idea from me, but I haven't been able to find a tutorial like this so I thought I'd do one! 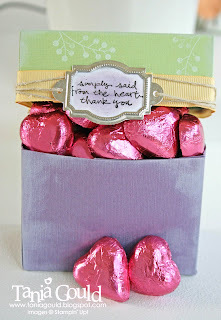 If you'd like to download a pdf copy of this tutorial, click HERE. 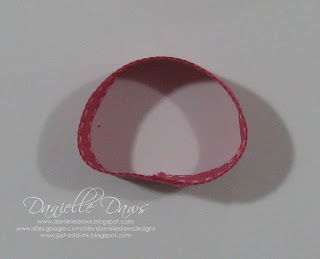 Punch four* circles from a sheet of DSP and glue together in a stack. 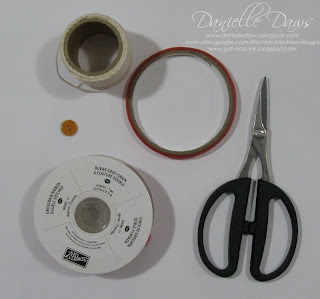 Alternatively, punch one circle of DSP and 3-4 of coordinating cardstock and glue with the DSP circle on the top. 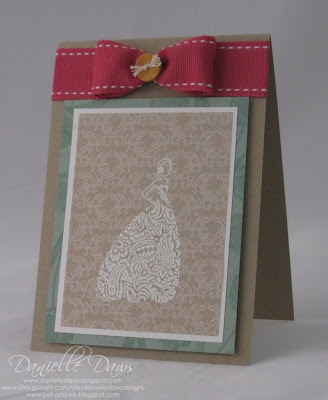 * If your DSP/cardstock is thin, you will need to use more circles. 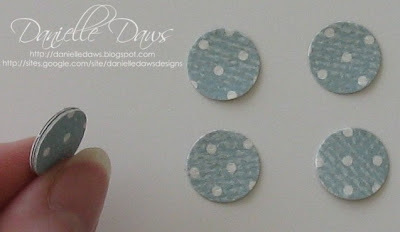 Using your paper piercing tool and a button as a guide (optional), pierce 2 or more holes through your stack of DSP circles. Make sure you have a suitable surface underneath so you don’t damage your working surface. 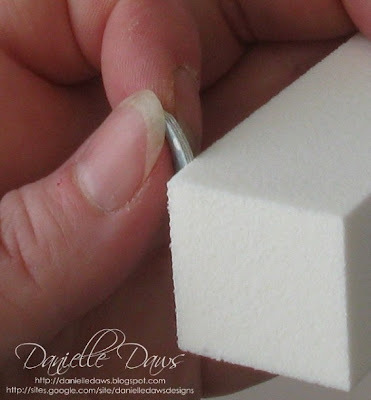 Using the sanding block (or an emery board), lightly sand the edges of your DSP circle stack. This is to help the stack of circles to look more like a solid unit. 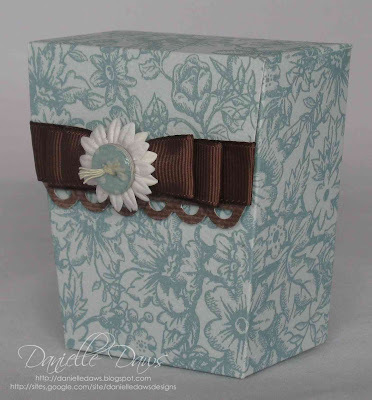 Your choice of DSP and cardstock will affect the final look of your button. The DSP I’ve used for this tutorial has a white core, so the joins between each layer are more obvious. You could use a marker to ink the outside edge if this was a problem. 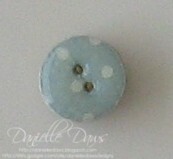 Apply Crystal Effects to the top of your button, being careful to not fill the pierced holes. 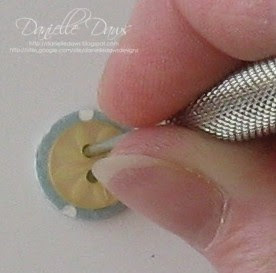 It’s also a good idea to apply a small amount of Crystal Effects to the edges of the button to help bind it all together. Do this as a separate step. Your button is now complete and ready to be used! 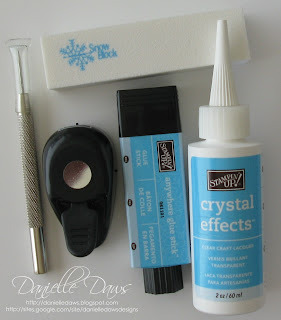 Make sure the Crystal Effects has dried completely before using your button to avoid putting fingerprints on it! I hope you've enjoyed my tutorial!